Patchwork & Quilting44" x 36" Piece blue/pink Elephants Cotton Fabric. 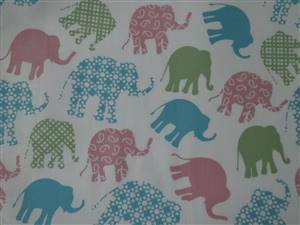 44"
Home >> 44" x 36" Piece blue/pink Elephants Cotton Fabric. 44"